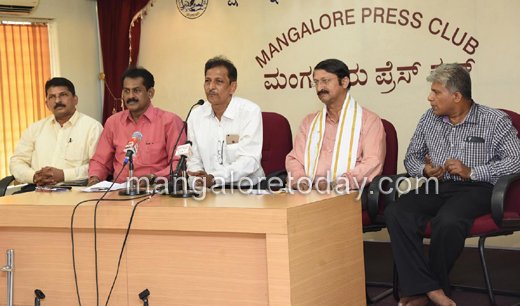 Mangaluru Oct 25, 2016: Goodu Deepa Pantha, a Goodu Deepa competition will be organized for the 17th year by Namma Kudla Channel at Kudroli Gokarnanatha Temple premises on October 28th, informed Namma Kudla Anchor Kadri Navneeth Shetty. Addressing media at the Press Club on Tuesday October 25th he said that, this spectacular event will be highly attractive with special kinds of Goodu Deepas. Competition will be conducted in three categories namely traditional models, modern models and special models. First and Second Prize winners of each category will be awarded with Gold medal while third prize winners will be awarded with Silver Medal and other winners will take away consolation prizes. During the occasion, organizers will honor eminent personalities with special awards. Social Worker Urmila Ramesh Kumar will be the recipient of Namma Tuluver Award, while Yakshagaana artist Seetharam Kateel will be awarded with Namma Kudla Award. Yashashwini will be awarded with Namma Kudla Prathibha Puraskaara. Harish B Karkera, Bhaskar Rai, MS Kotian and Dayanand Kateel and others were present.